After an acclaimed run as Countess Geschwitz in the Metropolitan Opera’s new production of Lulu, Susan Graham returns to the opera house to star in Johann Strauss II’s sparkling operetta Die Fledermaus, opening December 4. Donning pants as Prince Orlofsky, Susan heads a cast that also features Susanna Phillips as Rosalinde and Toby Spence as her philandering husband, Eisenstein. James Levine conducts Die Fledermaus for the first time in his 45-year Met career. Tickets to the Met’s recent production by Jeremy Sams can be found here, with repeat performances taking place on December 7, 10, 14, 18, 23, 28, and 30 plus January 2 and 7. 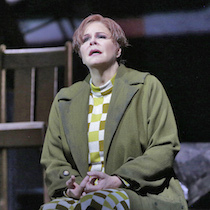 Susan Graham received critical acclaim for her “poignant” (Financial Times) performance in the Metropolitan Opera’s new production of Lulu, making her role debut as Countess Geschwitz. “She distinguished herself with her burnished warm sound from the very first notes,” praised the Washington Post, and “sang so radiantly [she] made Berg’s spiky music sound downright romantic” (New York Observer). As the cunning admirer of the eponymous femme fatale — played by Marlis Petersen — Susan “was luxurious casting, singing her final scene with rare eloquence and great depth of feeling,” noted Operavore, and “[balanced] fragile dignity and poignant neediness in her performance (New York Times). Repeat performances of Berg’s opera under the direction of William Kentridge take place on November 14, 17, 21, 24, and 28 as well as December 3. Watch a trailer here of the production, which is conducted by Lothar Koenigs and Derrick Inouye and boasts a cast that also includes Daniel Brenna, Paul Groves, Johan Reuter, and Franz Grundheber. On November 21, Lulu will be transmitted to more than 2,000 screens in 70 countries across the globe as part of the Met Opera’s Live in HD series. Tickets to Lulu and more information can be found here. 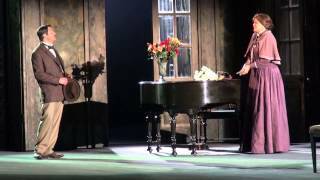 Susan Graham returns to the Metropolitan Opera for a new production of Alban Berg’s Lulu by visual artist William Kentridge, making her role debut on November 5 as the cunning Countess Geschwitz. Marlis Petersen brings her interpretation of the title role, a sexually irresistible young woman whose wanton behavior causes destruction for those who fall under her spell. Lothar Koenigs and Derrick Inouye split conducting duties, leading a cast that also includes Daniel Brenna, Paul Groves, Johan Reuter, and Franz Grundheber. Watch a trailer of the production here. Repeat performances take place on November 9, 14, 17, 21, 24, and 28 as well as December 3. Lulu will be transmitted to more than 2,000 screens in 70 countries across the globe as part of the Met Opera’s Live in HD series on November 21. Find tickets to Lulu and more information here. Susan Graham had the honor of performing for His Holiness Pope Francis during an Evening Prayer service held at St. Patrick’s Cathedral on September 24. 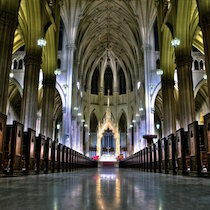 She was joined by the Saint Patrick’s Cathedral Choir andCathedral Orchestra for “Laudate Dominum” from Mozart’s Vesperae solennes de confessore at the service, which was attended by church leaders and political dignitaries and was broadcast live by an array of media outlets. Watch a video of Susan’s performance here.